Penrose Physical Therapy Answers: My back hurts – Should I Ice or Heat? Are you confused as to when to use heat versus ice for your pain? 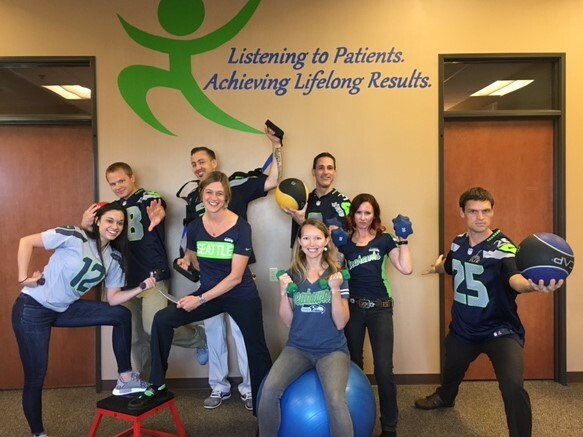 We get asked about this every day at Penrose Physical Therapy! Read on! Most of the time my patients would like to use heat. I think it’s because in the Pacific Northwest we have several months of damp cool weather! There’s one time in particular we say to use ice and that’s when something just happened and it’s very painful, likely hot and maybe swollen. This is an ‘acute’ injury. Acute meaning it just happened. For example a sprained ankle, a pulled muscle, after an accident or injury type situation. When it comes to your back pain, the time to use ice is if your back has suddenly ‘gone out’ and you’re in a lot a pain, or you’ve overdone it and your back becomes very painful towards the end of the day. The swelling is just your body’s natural cushion to protect the sprain. The pain and heat comes from the inflammation. Your body is trying to protect and heal itself, if something’s painful – you’re not going to want to move it or touch it are you? This inflammation process starts the healing mechanisms in our body and it also keeps us from moving so we can heal without creating any more damage. So that’s why it happens. But this pain can be awfully worse than the actual injury itself, so cooling it down with ice is a simple method to help ease the intensity of the pain as soon as possible. And by using the ice often (10 mins every hour when you are awake), the cooling and warming of the injury will help the blood keep flowing around the area to help it heal even quicker. The warming happens after you remove the ice the new blood flow and new nutrients rush into the area and warm it up. This flushing the area helps it heal faster and keeps the inflammation from building and creating more pain for you. Inflammation peaks at 48-72 hours so doing the ice often in those first 3 days is critical to speed recovery! This also explains why you don’t feel as bad the first day of an injury but you feel worse the second and third day. Try thinking of it like this… When something is warm it’s softer and more pliable, and when something is cold, it’s harder and stiffer to move. With that in mind I always explain to my clients it’s time to apply heat when you feel more stiff, achy and need to get things moving – that’s the perfect time to use heat. It will help you move around better. Motion is lotion and sometimes we need a little heat to get those tissues softer and more pliable. Typically if it’s something that’s been nagging you for some time (chronic), and it’s more stiff and achy rather than painful then heat is the way to go. They reason it’s stiff and aching is because the muscle and joints are so tight. Like anything, you warm it up and it’s softer and easier to move. It’s exactly the same with your joints and muscles… Muscles should be able to move, if they are stiff and tight you are more likely to have an injury by over stretching them as they simply can’t stretch as far as you need them too. Stiffness will always lead to pain and injury. It is not a matter of IF it is a matter of when! It’s for this same exact reason footballers and any sports people ‘warm up’ before doing their sport – so they don’t pull a muscle! When we’re asleep at night our muscles cool down because they aren’t being used so our blood is going directly to our brain for our dreams and for our stomach to digest our dinner… So why don’t we ‘warm up’ first thing on a morning to get us ready for the day? Not sure what stretches to do? I always recommend the perfect combination of Yoga and Pilates style stretches to keep your back healthy and pain free. If you have conditions like osteoporosis, arthritis, stenosis, disc issues it is wise to consult a physical therapist to show you which exercises will need modifications. If you need more tips on back pain please feel free to request a FREE back pain tips report! Get access to your free tips report at the Penrose Physical Therapy website.